Now that summer is drawing to a close, it is quite likely that you have experienced numerous run ins with a wide assortment of unwanted pests in your home, on your property, and in or around other structures, such as sheds, barns, garages, and workshops. One of the most common of these pests are ants. These insects work with an exceptional level of diligence during the summer due to the fact that they must forage food for the fall and winter months. During the warm months, these insects are abundant. In many instances, they will find their way into your home in search of water and food sources. The likelihood of this invasion is high at the end of the summer. Here, you will be presented with information on how to effectively control the increasing ant populations in and around your residence as summer fades out and fall starts. In order to effectively eliminate ant populations, you must develop an understanding of the species. There are common house ants, pharaoh ants, carpenter ants, and several distinct roles that each type of ant plays. One of the most challenging aspects to controlling the ant species is the fact that these insects reside within a colony. Additionally, many ants have become resistant to the various over-the-counter pesticides, their nests are securely out of sight, and the queen of each colony is consistently laying hundreds of eggs each and every single day. In order to effectively eliminate ants, you must enlist the assistance of a pest control specialist. These individuals have non-resistant pesticides at their disposal, know how to identify the nest of a colony, and are able to quickly eliminate the queen in that colony. When ants come in contact with human food and water sources, they defile those sources. Children and pets may become extremely bothered by ants. 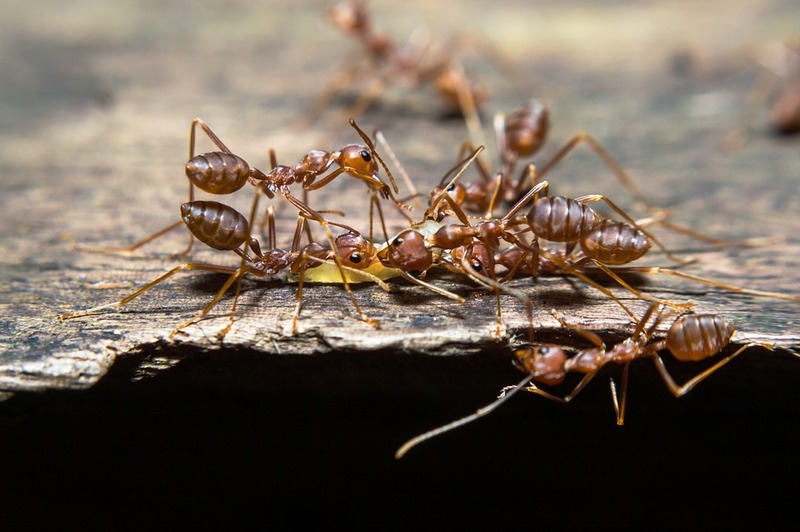 Ants congregate in locations – such as electrical panels – that may result in complications and excessive expenses. Ants have the ability to bite and to sting; therefore, jeopardizing the health of those subjected to those bites and stings. In order to eliminate ants, you must have a solid understanding of the species. This will help you in that you will learn the characteristics of the ants, their behaviors, and understand how their colony works. Immediately thereafter, you must identify the nest. The nest will vary, based on the species of ant and their general location. In some instances, ant pesticides must be used. In other instances, a special dusting product must be used – it depends on the type of nest that you are dealing with. Then, there are some cases where pesticide baits may be utilized. – Why Are Ants More of a Problem In Summer?